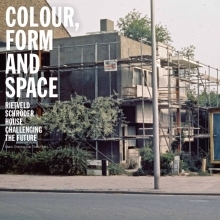 This new book on the Rietveld Schröder House (by Gerrit Th. Rietveld, 1924) sheds light on the thorough restorations of its exterior (1970s) and interior (1980s), and the principles for the furnishing when it opened as a museum house for the public, in 1987. Since the restorations, carried out by architect Bertus Mulder (b. 1929), the house is once more a shining manifesto of De Stijl and modernist living. Few realize that this is one of the first examples of a restored modern heritage building. The Rietveld Schröder House is also a milestone in the history of modern heritage restoration and a manifesto for the concern for modern heritage in the Netherlands. This study was made possible by a Keeping It Modern Grant from The Getty Foundation.